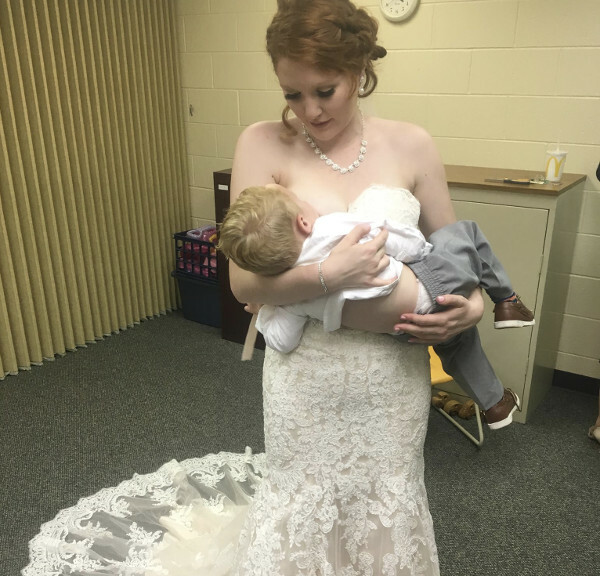 An image of a bride breastfeeding her unsettled baby during her wedding ceremony has prompted an outpouring of support – and similar images – from other mums nursing during their nuptials. These hungry babies certainly weren’t willing to forever hold their peace! 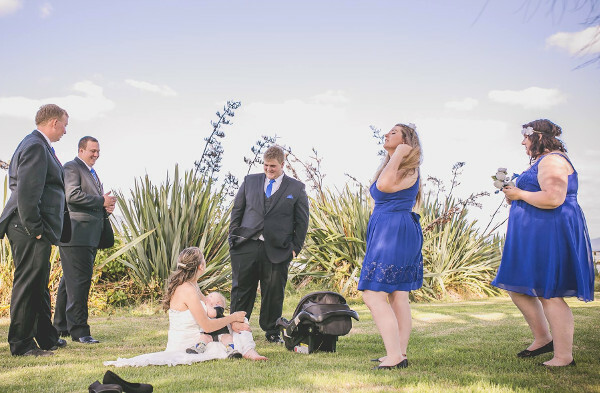 Babies get hungry at the most inopportune times, but what about when you’re at the altar about to exchange wedding vows? Canadian mum Christina Torino-Benton says she simply did what she had to do when her nine-month-old daughter needed feeding during her wedding ceremony. Her wedding photographer, Lana Nimmons managed to snap the precious moment, and Christina then posted the image to the Breastfeeding Mama Talk Facebook page. It’s since prompted dozens of other breastfeeding brides to upload their nursing nuptials images. What incredibly moving images, demonstrating an unbreakable bond between mums and their bubs. We have a huge archive of uplifting breastfeeding stories, information and products – be sure to take a browse.